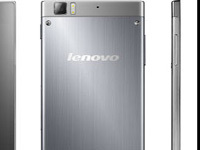 Lenovo group is going to launch a 5.5-inch phablet called the K900, as per media reports. The phablet is in limelight for two reasons—a powerful processor and a decent price range. The K900 will be powered by an Intel Atom Z2580 dual-core processor with 16GB of internal storage expandable 32GB using microSD cards. The device will be launched in India on May 10 and will be priced below Rs 25,000. The K900 was first unveiled at Consumer Electronic Show 2013 in Las Vegas. The phablet will have 1920x1080 pixels and will run on Android 4.2 Jelly Bean. With its dynamic specs and aggressive pricing, market is speculating that the device will compete with HTC One, Sony Xperia Z and Samsung Galaxy S4.